#000416 - 1st UK Edition, later printings, Near Fine housed in Publishers Slipcase - A beautiful matched set, virtually without fault. 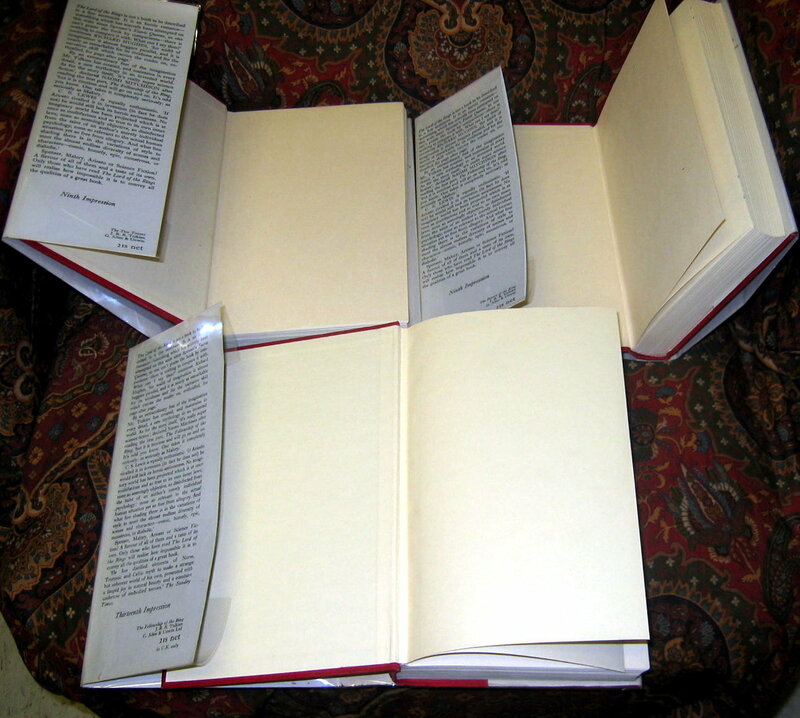 No shelf wear to the edges, only light soiling to the dustjackets. Positively one of the finest available, scarce in this excellent condition. A beautiful matched set, virtually without fault. No shelf wear to the edges, only light soiling to the dustjackets. Positively one of the finest available, scarce in this excellent condition. 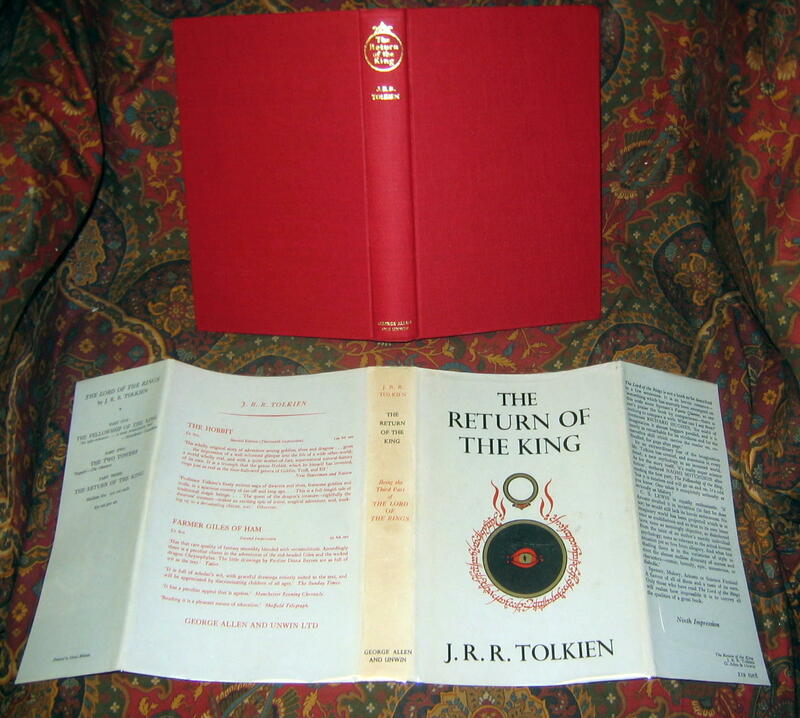 Published by George Allen & Unwin, an early 1960's set of the UK 1st Editions, housed in the original publishers slipcase. 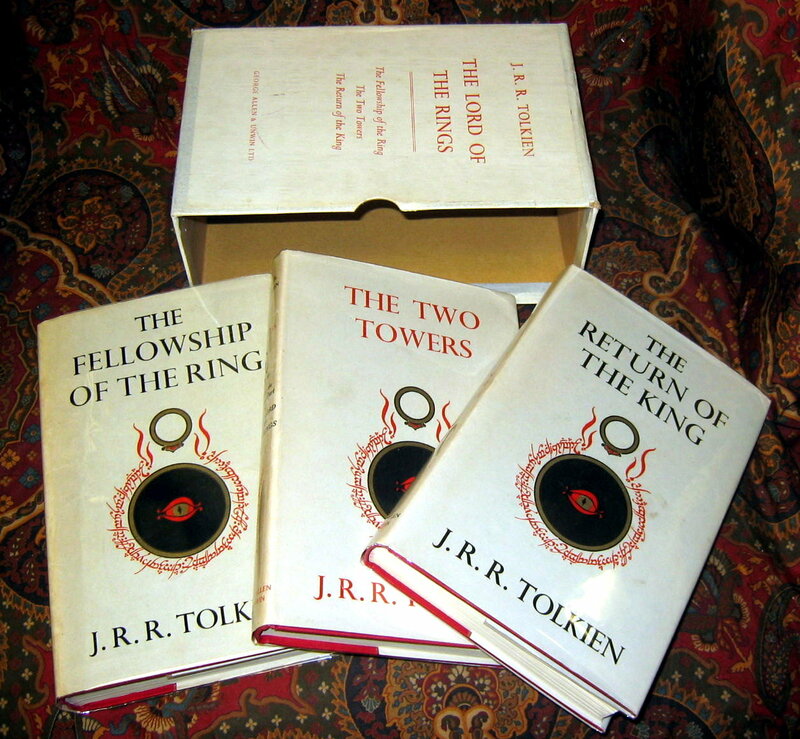 An exceptional Near Fine set of first editions of this classic of fantasy literature. 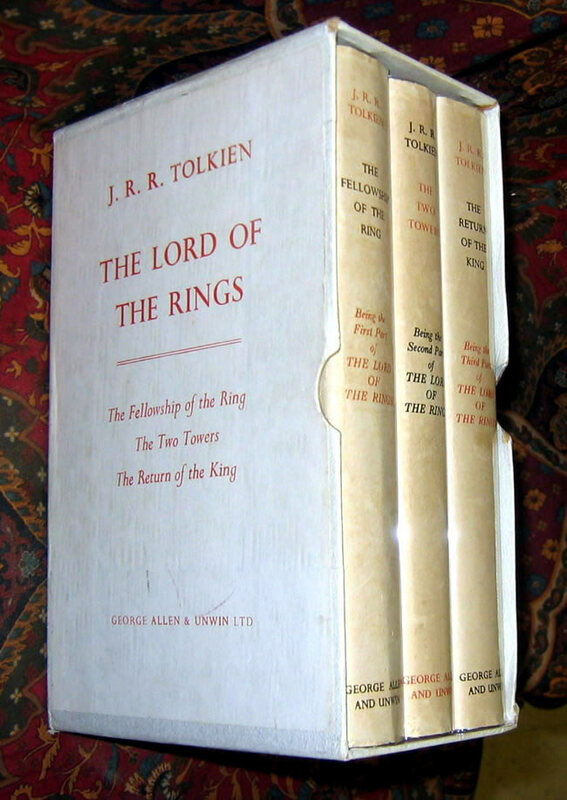 The set is housed in original publishers off white slipcase with label on one side. The slipcase shows only the lightest wear and a few bumps to the corners, but has done its job and protected the books from any damage. 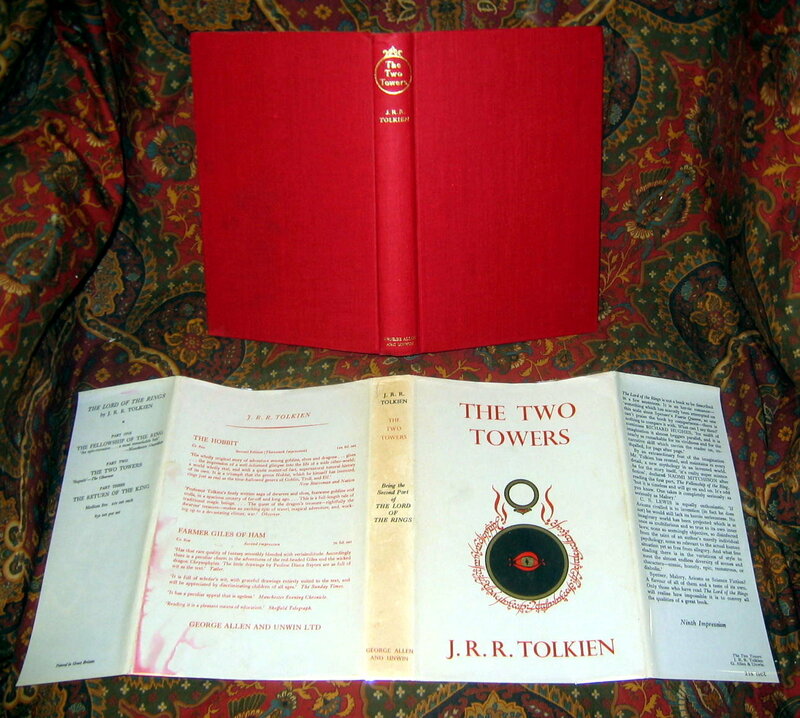 A couple of light stains from the red topstain has transferred to the dustjackets, but no further indication of water damage, no damage to any of the books. The case itself is in Very Good Plus/Near Fine condition, with only the lightest staining and remains clean and bright. 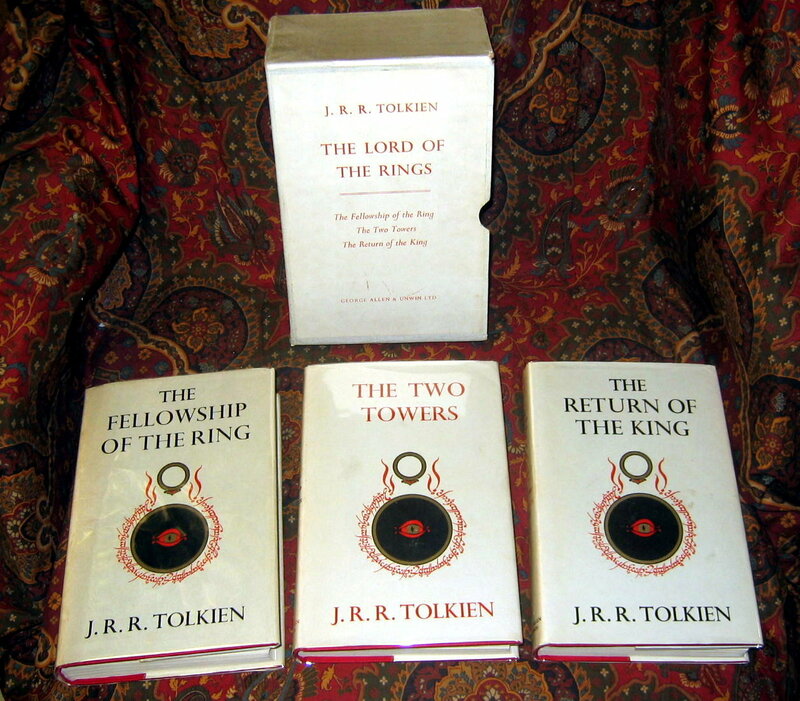 The set is in Near Fine condition, without any previous owners names or writing in any of the books. There is absolutely no foxing or offsetting in any of the books. The red topstain is clean, with only the slightest fading. 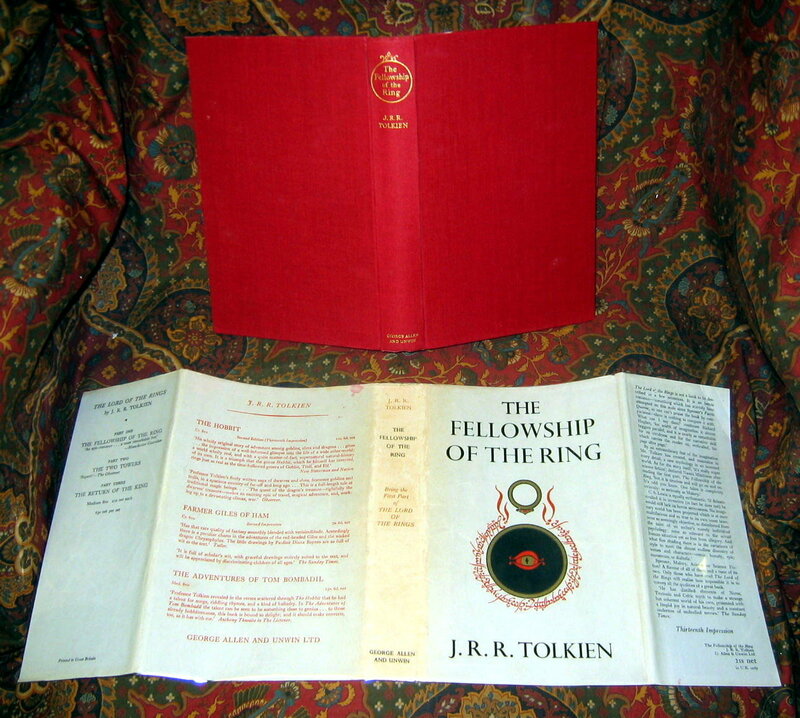 The books look unread, are still clean and tight, and the maps are attached, and in excellent condition. The dustjackets are in excellent shape with no chips or tears to the edges. None are price clipped and are the original and correct impression for all three books. Only the lightest of sunning or dustiness to the spines, much less than the norm.